I am pleased to welcome Karen Lynn as our guest expert today! 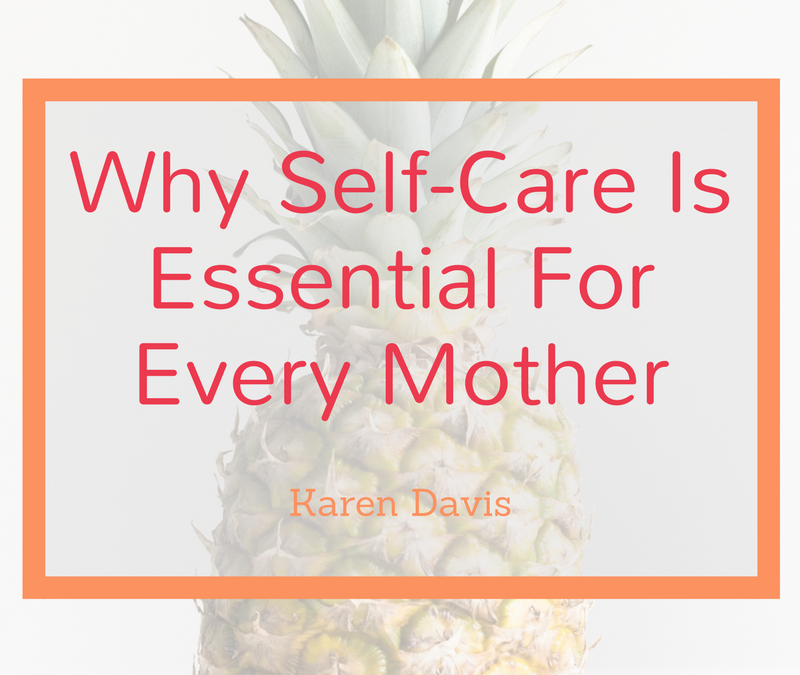 Karen is writing about Why Self-Care Is Essential for Every Mother. She is a certified holistic health and life transformation coach, not only does she bring her expertise but also her experience as a mom too. Enjoy the tips below on how to bring more self-care into your daily life. Being a mom is the greatest job there is, but it is also the hardest. Between childcare, housework, cooking, and errands, parenting is a 24-hour a day job. Whether you are a stay at home mom or work outside the home, there is always so much to do. With so much pressure to take care of everyone else, it’s easy to let your own needs go ignored. Society even tells moms to be selfless and put everyone’s needs first, to the point where moms are suffering more and more from anxiety, depression, and burnout. To function at your best, you have to put yourself first You know when you are on an airplane, and the flight attendant is going through the safety instructions and they show you the oxygen mask? They say, “Put your own mask on before helping others.” This works with parenting, too. Think of self-care as putting your emotional and mental oxygen mask on so you can be the best mom you can be. Being a mom can be isolating, especially if you have a new baby. Between cluster-feeding and fighting naps, you are trapped on the couch, and in the brief periods you have free, you feel obligated to tackle the laundry. Instead, load the baby into a stroller or wear the baby in a carrier, and go outside for a walk, get some fresh air, and re-group. Listen to music, or enjoy relative silence. A change of scenery and fresh air can do wonders for your mood and can lift your foggy feelings. Whether you are busy running older kids around or you have a newborn that strenuously objects to being put down, regular showers are hard for a mom to get. However, not only is washing the spit-up out of your cleavage important, but it helps you feel more “human.” Just like getting fresh air, taking a shower can help wake you up and make you feel more alert. Clean clothes are just icing on the cake. As a mom, you get so busy caring about what everyone else is eating, that caring for your own nutrition gets pushed to the side. Instead, eating toddler leftovers and handfuls of chips washed down with your third cup of coffee is a typical lunch. It is especially important that nursing moms eat decent food and stay hydrated, but every mom needs foods that are both healthy and convenient. These are great for on-the-go moms and also new moms who are having to eat one-handed due to holding a baby. First of all, going to the grocery store alone is NOT “me time.” Tell your partner that you need to block out time to be by yourself, whether you take two hours once a week or 20 minutes each evening. Use this time for whatever “fill your bucket,” and do it regularly. You don’t even need to leave the house, just make sure you have uninterrupted time to focus on what you like. *If you are a single mom, see if you can trade babysitting with a friend or neighbor. Single moms ABSOLUTELY deserve a break. Remember, if you are a new mom, and you’re feeling overwhelmed, constantly worried or depressed, or disconnected, you may be struggling with postpartum depression or anxiety, and need to talk to your doctor. Be sure to reach out to someone who is close to you for support and guidance. If you’re a busy mom and you’d love to get more time in the day for yourself, then click here to receive my favorite 15 ways to find more time in your busy day, plus I’ll send you valuable, yet free tips to help you get your mommy mojo back in no time! 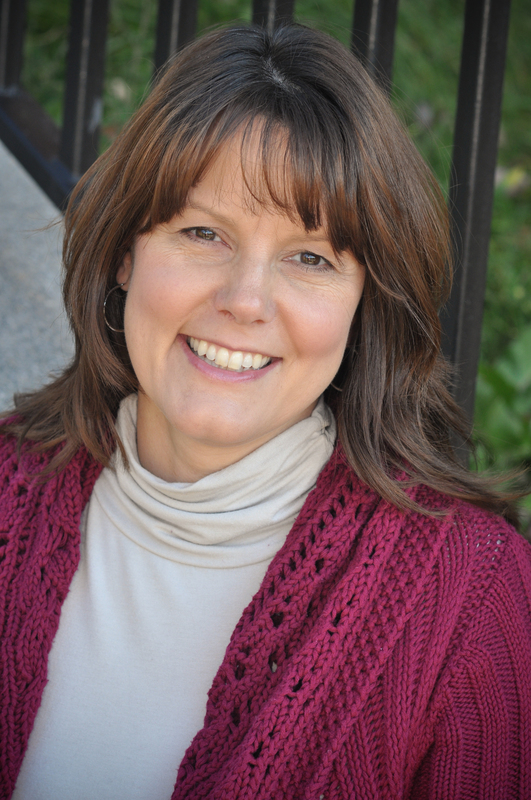 Creator of the “From Frazzled to Fabulous” program, Karen is an expert in holistic health and life transformation, helping hundreds of busy women find health, balance and a life of their own design. She is a certified Holistic Health Coach (Institute of Integrative Nutrition), Life Coach (The Life Coach Institute), and a Transformational Life Coach (Holistic MBA), and uses the knowledge gained as well as her unique insights to mentor heart-centered women through her various online programs. In a world where a woman’s success is measured by her home and career, “From Frazzled to Fabulous” is becoming a philosophy that simply makes sense and Karen is there to guide you through it.